With an objective to spread knowledge on traditional use and application of bamboo, the first ever 5-day World Bamboo Workshop (WBW) in India begins in Imphal on Monday. 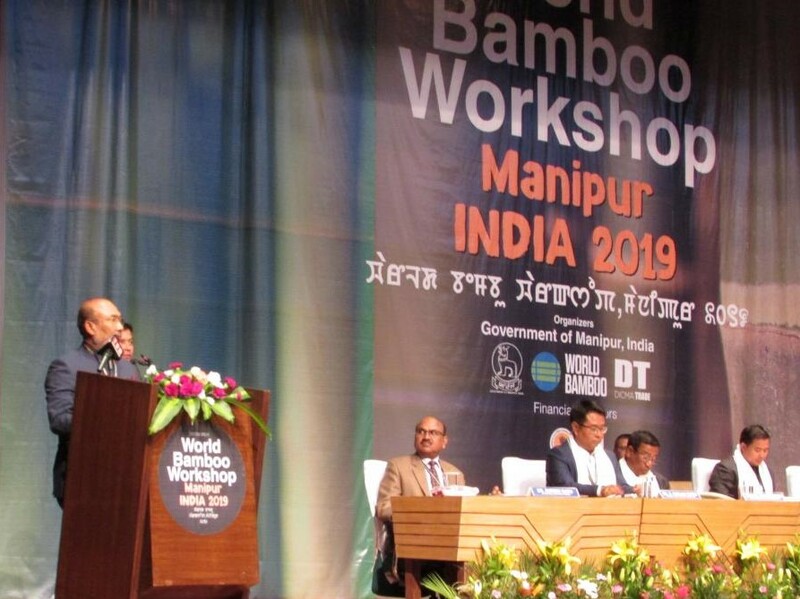 This is the third workshop organised by World Bamboo Organization (WBO) USA in association with Manipur government in the series after the first held at Mexico in 2017, second in Peru in 2018. The event is organised every year with an objective to bring all the scientific, technical and traditional knowledge available around the world in bamboo at that particular place. The inaugural function of the workshop which is scheduled to continue till February 8 was attended by Manipur Chief Minister, Nongthombam Biren Singh along with state’s Commerce and Industries Minister Thongam Biswarjit Singh, Forest and Environment Minister, Th Shyamkumar besides President Michel Abadei and Executive director Susanne Lucas of WBO. The education minister Th Radheshyam, MLAs and state chief secretary, Dr Suresh Babu also attended the inaugural function. With the presence of intellectuals and experts working in bamboo in the bamboo workshop, Chief Minister, N Biren also hoped that the region would get benefits from the experts hands. He also hoped that the workshops would help prepare future road map of Bamboo in Manipur. According to officials, two memorandum of understanding (MoUs) will be signed between Manipur Government and two companies –Dicma Trade, Mexico and Bangalore based Growmore biotech for bamboo tissue culture and cultivation etc. More than a dozen stalls were opened at the city convention centre, the main venue of the workshop, while another 50 more stalls were opened at the Hafta Kangjeibing at palace compound in Imphal to showcase bamboo related items and handicrafts. Besides a food stall was also introduced during the workshop for three days (February 4-6) to conduct bamboo food cooking competition among 20 intending competitors as the region is known for its bamboo diversity. The five days event at Imphal will have lectures, hands-on training, exhibitions, cultural shows, and more on bamboo. Around 200 participants including participants from two dozen foreign countries have registered join the workshop.